Exclusive dedication to real estate development since 1964. Comprehensive solutions and extensive international experience. Asset management, promotion and other solutions. Since 1972 he has been Professor of Projects at the Barcelona School of Architecture and, from 1977, has been Professor of Interior Projects at EINA [school of art and design]. He has been a visiting professor at the Budapest School of Architecture and at the Belgrano School of Architecture in Buenos Aires . 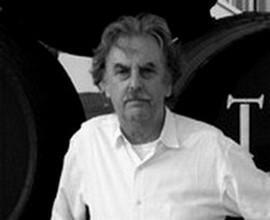 Antoni de Moragas i Spà is currently a professor at the La Sapienza School of Architecture in Rome . Moragas i Spà has won the following awards: Domènech and Muntaner Architectural Prize from the Catalan Study Institute (1986); the FAD (Association for the Promotion of Decorative Arts in Barcelona) Award for Architecture (1987) - as well as receiving a Special Mention in 1993 and being finalist in 1982, 1987, 1994, 1996 and 2000; and the City of Barcelona Architectural Prize in 1990.